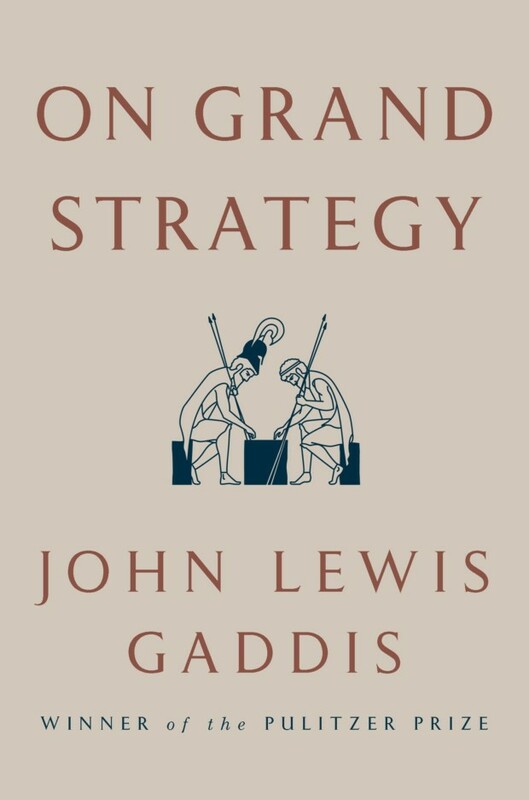 John Lewis Gaddis’ most recent book certainly puts the ‘grand’ in Grand Strategy. It spans roughly 2,500 years of history and draws upon the works and deeds of individuals ranging from writers to statesmen to theologians and political philosophers. The impression it leaves is that of a synthesis of sorts, developed gradually by the author over the course of his many years of teaching. The final product is at times somewhat inaccessible owing to the sheer variety of ideas at play but nevertheless perhaps the most succinct and nuanced depiction of grand strategy. While simply reading On Grand Strategy is unlikely to provide a blueprint for the practice of strategic thought, it is sure to instill the reader with a greater appreciation for history and the complex, chaotic and rarely pleasant way it is made. Beginning with the Persian invasion of Greece in 480 BCE, On Grand Strategy contents itself with a quite nonlinear retelling of King Xerxes’ failed expedition. In the same breath as the Persian king’s uncle Artabanus cautions his ambitious ruler on the dangers of the campaign ahead, the reader is transported nearly two and a half millennia forward to hear Isaiah Berlin’s musings on foxes and hedgehogs. Just as suddenly the book rewinds and fast forwards simultaneously to deliver a quote from Daniel Day-Lewis playing Abraham Lincoln regarding the importance of following your compass. With scarcely a pause in between the reader is treated to the musings of Daniel Kahneman, F. Scott Fitzgerald, Thucydides and Carl von Clausewitz. The first chapter is not yet over and already it feels as if one needs to take a break and review the source material before proceeding. However, for all that Gaddis delights in jumping through historical epochs, On Grand Strategy is almost too parsimonious compared to similar works on the same subject. Most recently Lawrence Freedman’s similarly grandiose work Strategy: A History, weighs in at over 700 pages. Carl von Clausewitz’s On War, On Grand Strategy’s namesake is some 600 pages depending on the translation. By comparison, the 300-odd pages of text in Gaddis’ recent work feels relatively trim. The sheer complexity of the subject is such that for every page spent developing a unified theory, scholars have felt compelled to spend ten more elucidating all the qualifications and counterexamples. Whenever a theorist has sought to encapsulate the essence of strategic thought, their prescriptions have either proved tragically limited in the real world, or so nebulous as to frustrate practical application in the first place. Perhaps Gaddis falls into a similar trap when he defines the nature of grand strategy as the relation of available capabilities to desired ends. At face value this seems a pleasantly simple recommendation to follow: simply do not reach for that which is not within your grasp. However, those individuals regarded as truly grand strategists by historians, Gaddis included, have passed into legend by virtue of their ability to accomplish feats which seem far beyond their capabilities. Abraham Lincoln entered the presidency as leader of half a country, waged and won the bloodiest war in American history, and abolished slavery, a practice deeply ingrained in U.S. economic, cultural and political institutions. He did so with little formal education, political or military experience, factors which made his eventual success all the more surprising. Similarly, Augustus completed the transformation of Rome from republic to empire without ever declaring himself emperor. He did so in a society which had murdered his adoptive father Julius Caesar on the floor of the Senate in cold blood for aspiring to unilateral rule. Both figures cast long shadows over the course of history by virtue of their ability to transcend their seemingly allotted stations. So, what then differentiates Lincoln and Augustus from individuals such as Xerxes and Napoleon, who in many ways reshaped the world by their actions yet were ultimately undone by their ambitions outpacing their capabilities? To this, Gaddis would respond simply with two words: common sense. This attribute he relates to the ability of college students to walk and text at the same time, an intuitive quality taken for granted which enables individuals to navigate the complexities of their surroundings without becoming overwhelmed by them. As one’s accomplishments grow, so too their allotment of common sense tends to shrink as they begin to think themselves irresistible forces of history. Great leaders are often undone by conflating means with ends, thinking that by virtue of their desiring a particular outcome it must come to pass. In the process, they neglect the practical strategies which brought them fame and glory in the first place. To Gaddis’ credit, he does not treat common sense as a silver bullet. This practical element is complemented by a more complex analysis of Isaiah Berlin, Fitzgerald, Saint Augustine and Machiavelli, to name just a few. The first thinker in this list provides the explanatory framework off of which much of On Grand Strategy is based. Berlin, in his 1953 essay The Hedgehog and the Fox argued for the division of great thinkers into two general categories. Hedgehogs, whose ranks include Plato, Hegel, Dostoevsky and Proust, devote their energy towards knowing “one big thing”. Foxes on the other hand, lay claim to Herodotus, Shakespeare, Goethe and Joyce, and focus on knowing “many things”. Gaddis adds Xerxes, who ignored perhaps obvious concerns in the pursuit of his grand designs, to the hedgehogs and his uncle Artabanus, who was paralyzed by the need to develop endless contingencies, to the foxes. Under this basic framework the very notion of a grand strategist appears impossible. One is either so grandiose that their goals will inevitably exceed their capabilities, or forever relegated to inaction. To resolve this, Gaddis merges Berlin’s essay with Fitzgerald’s remark that “the ability to hold two opposed ideas in the mind at the same time, and still retain the ability to function” is the mark of a first-rate intelligence. Such an intelligence was arguably incarnated by Leo Tolstoy, whose writing, particularly War and Peace, has proved so enduring by virtue of his ability to combine a hedgehog-like sweeping view of history, with fox-like attention to detail. To the prospective grand strategist this means retaining a clear end goal while navigating the day-to-day ordeals needed to reach it. As Daniel Day-Lewis’ Lincoln might put it, a traveler following their compass north will still have to make regular detours if they wish to avoid becoming bogged down in the swamps along their way. Great leaders are undone not so much because they dared to dream big, but because along the way they lost sight of what they were pursuing in the first place, refusing to see that by charging into swamps rather than navigating around them, they were in fact making their journey more arduous, if not impossible. Gaddis’ analysis is undoubtedly interesting, but the question remains of whether On Grand Strategy may itself prove a compass for future strategists: does the book exist merely to identify individuals who have exhibited traits of the grand strategist, or to offer guidance on how others may cultivate those traits themselves? On the first count, its magisterial narratives certainly succeed; the verdict on the second is more open to debate. Naturally, any enumerated steps or maxims for effective grand strategy would fall down the hedgehog trap of being too narrow to account for real life. Yet even Clausewitz, whose disdain for prescriptive theory is abundant within the pages of On War, sought to outline how a novice might better be taught how to wage war. Gaddis appears to define his theory negatively. Do not allow your goals to exceed your capabilities, do not forget the swamps for the destination or vice versa. This is useful to an extent and certainly reflects the number of failed strategists throughout history, but a list of what not to do does not necessarily amount to guidance on what one should do. There are certainly positive recommendations made by Gaddis as well, and this critique should not diminish the skill with which the book lays out and substantiates its argument regarding grand strategy. Nevertheless, alone, On Grand Strategy provides a contextual universe more than it does a path forward, discerning the nature of that path must be the subject of further scholarship. If Gaddis provides one concrete recommendation, it is to embrace contradictions. Once again this is somewhat negatively defined by examples of those who fail to do so, with oppressive ideologies springing up to forcibly eliminate any and all contrary forces by violence if necessary. An appreciation for contradictory elements is important not only for the grand strategist, who must live as both fox and hedgehog, but for any individual seeking to better understand the world around them. It means learning to live with Abraham Lincoln, who defined his ultimate goal as the salvation of the union with the moral impulse to end the practice of slavery only pursued insofar as the two aligned. It means recognizing that no strategy is ever perfect, and all contain elements of good and bad. Living with contradictions entails appreciating the good, understanding the bad while never excusing it, and fundamentally seeing how individual choices coalesce into outcomes. For the grand strategist, this is instrumental to learning what makes for a successful strategy, for all persons, it is critical to having a greater sense of empathy for those around us and those who came before us.